Do you remember Joan Hempel Comisar? Joan Hempel Comisar graduated in 1948 and was inducted into the Hall of Fame in 2014. Joan Hempel Comisar attended Withrow prior to inter-high school competition for girls. She participated in GAA gymnastics and swimming at Withrow, but her spectacular career in golf began after graduation. She won the Ohio States Women’s Golf Championship in 1978 and 47 Club Championships in Cincinnati, Southern California and Bermuda over her career. Other accomplishments include, Greater Cincinnati Champion four times, Greater Cincinnati Senior Champion nine times and Ohio State Senior Champion four times. 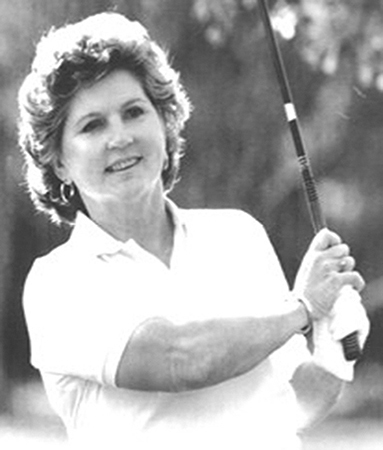 Joan won Bronze Medal in 1988 USGA Senior Women’s Championship, played in one US Open and one US Amateur. She served as President for the 1963 United States Golf Association Open at Kenwood Country Club and was elected President of the Cincinnati Women’s Golf Association in 1971. Joan was inducted into the Hamilton County (Cincinnati) Sports Hall of Fame and Cincinnati Legends of Golf in 1990. Also in 1990, she had the first hole dedicated to her at the Kenview Golf Course at Kenwood Country Club in Cincinnati.